This LED Module From DynacoDesigns.com replaces the old incandescent lamp in your PAS preamp and SCA-35 Amp. It reduces the current load on the transformer making it run cooler. The LEDs come in two sizes. One to fit behind the faceplate jewel, and one to fit the plate itself. There are a rainbow of colors to choose from! Please specify your preferred color LED. The module is my design. the board is high quality including silkscreen and solder mask. It costs less than the “other guy’s” cheap knock off. Assembly is free and you get FREE shipping as well as a Life Time Warrantee! If it ever fails, send me the old one, and I’ll send you a new one for the cost of shipping. It includes hardware and easy to follow instructions. 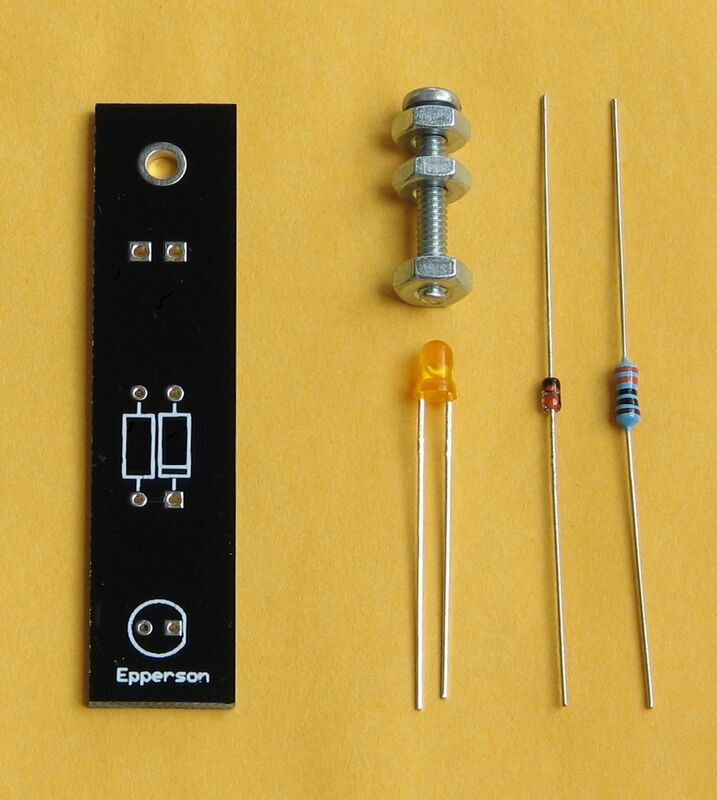 This LED Module replaces the old incandescent lamp in your PAS preamp and SCA-35 Amp. It reduces the current load on the transformer making it run cooler. Some Leds are just too bright! 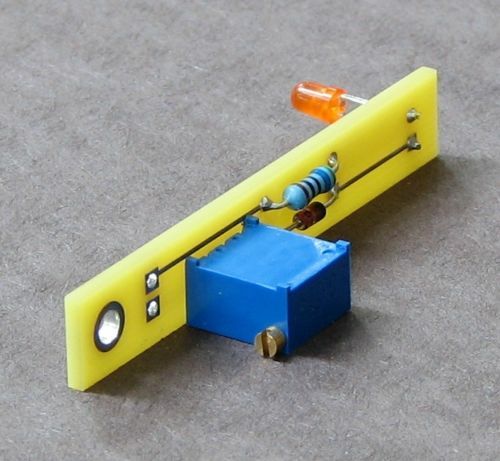 With the turn of a screw this module will provide the desired brightness. The LEDs come in two sizes: one to fit behind the face plate jewel and one to fit the plate itself. There are a rainbow of colors to choose from and it includes hardware, easy to follow instructions, and a lifetime warranty. 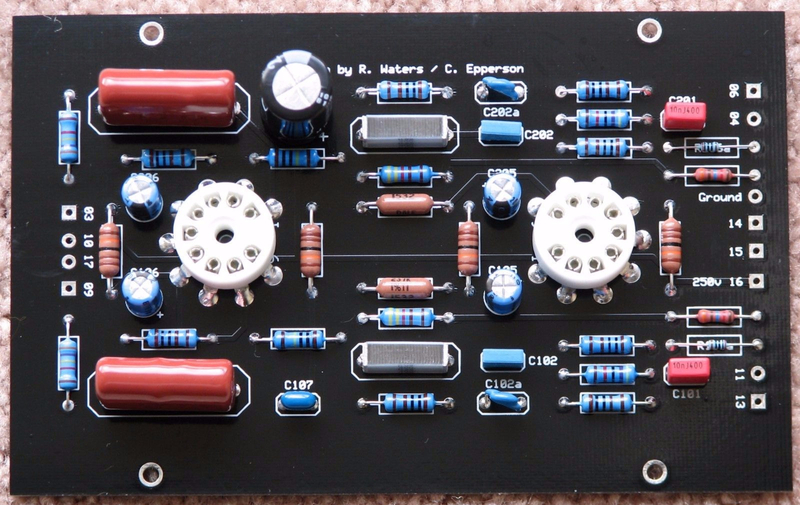 This module replaces the old filament supply rig in your PAS Preamp. You’ll receive the module shown in the PAS Chassis beside the upgraded transformer. The module comes with easy to follow instructions and hardware. Properly installed, this module will provide many years of trouble free service. Here’s an opportunity to do a low cost quality upgrade to your PAS preamp. This is a high quality kit for your PAS preamp that allows enough space for better quality RCA cables to be used, providing 1 phono input, five line level inputs, and one stereo output. Please Note: The input/output board is custom with only 7 pairs of jacks vs the stock 9. Knob not included. This is a kit for replacing the old volume, balance, blend, and loudness controls in your PAS preamp by R. Waters. It maintains the original signal and frequency integrity with current production parts. (1) The loudness control is improved. The loudness control can be particularly useful if you’ve bypassed or removed the tone controls. (2) The blend control will have six positions of blend from stereo to mono vs the original four providing a finer mix. Included is an easy to follow illustration. This is a kit for replacing the old Tone Controls in your PAS preamp by R. Waters. It maintains the original signal and frequency integrity with current production parts. The original controls were not as good as they should’ve been. The replacement controls are slightly more accurate and have smoother operation. Included are two easy to follow illustrations. The Precision Phono Board is the only upgrade I’d do other than the filament supply module sold here. Unlike others, it is strictly a tube design. It’s specs better and sounds more musical to my ears. With two resistor changes (on the quad capacitor) this board can be used as a direct replacement for the original. It comes with parts, illustrations, brief installation text, and limited email support. Although this board is designed as a direct replacement for the Dynaco PAT-4, its performance exceeds that of other solid state designs of its era including the ever popular Hafler DH-100 control amplifier. Indeed, it rivals modern audio equipment costing thousands of dollars. No chassis modification required and the board comes with hardware, a wiring diagram, and email support. A bare board is available (including a parts list) for $59.95 + shipping. (2) provide two out-of-phase signals to drive the two output tubes, which requires a phase-splitter stage. 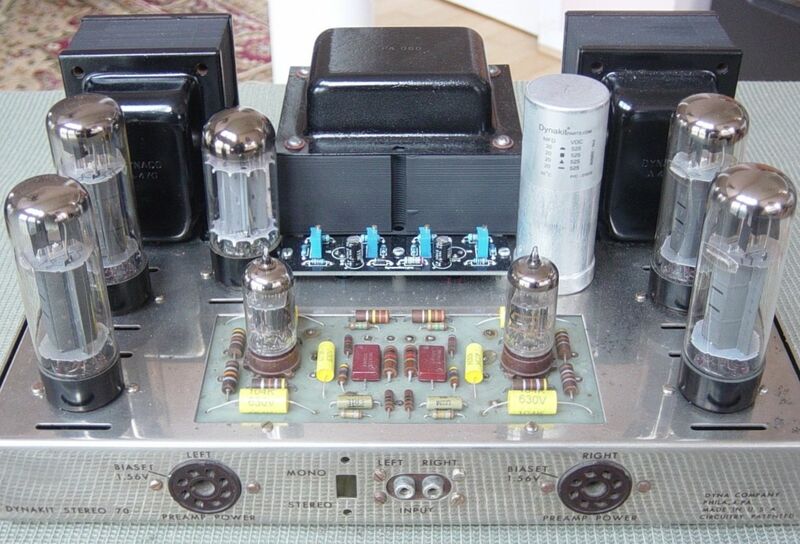 The original Dynaco driver met these needs with a single pentode gain stage at the input, followed by a simple split-load phase inverter to drive the output stage. While there are many driver boards available for the Dynaco ST-70, most follow the same common formula. This driver differs from the common approach. It uses the long-tailed pair phase splitter in a true differential amplifier configuration. The phase splitter also uses a temperature compensated constant current source in the tail, ensuring balance between the two tube sections without the need for a manual “AC balance” control. This driver provides the option of biasing the output stage using a single bias supply for each pair of tubes (the original Dynaco design), or individual biasing for each output tube. The result is a musical amplifier having both stages operating conservatively within their most linear regions providing more than ample drive voltage for the output stage, and has better speaker damping. I believe it to be the best design on the market today at any price. Dynaco ST-70 Individual Bias Board Kit With Protection Circuit. Finally, an easy way to individually bias your amp is here! This board provides individual biasing for any ST-70 replacing the original bias circuit. Bias adjustment is more accurate, convenient, and reliable. 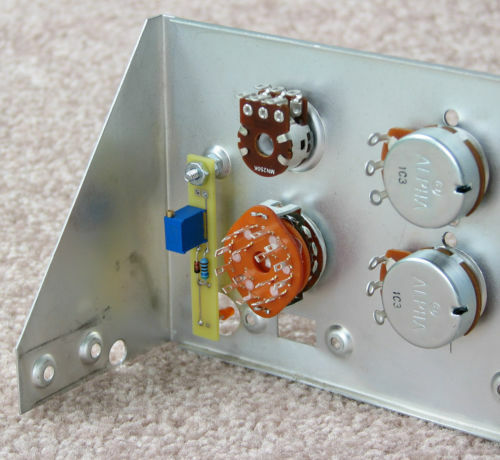 It installs where the original bias pots reside becoming an attractive part of your amplifier. High quality multi-turn potentiometers insure accurate biasing of each output tube. A bias protection circuit helps prevent the output transformers and tubes from catastrophic failure. It’s black and white color matches the color scheme of the ST-70. It comes with easy to follow instructions, terminal strip, additional cathode resistors, and hardware. This kit is all you need to know at a glance if your amp is on as well as having a volume control in your ST-70 for listening to sources without any interference between your CD player, Tuner, DVD Recorder, TV, Laptop, and mobile devices to your amp. There are a rainbow of colors to choose from for the pilot module! The pilot module also comes with a lifetime warranty.